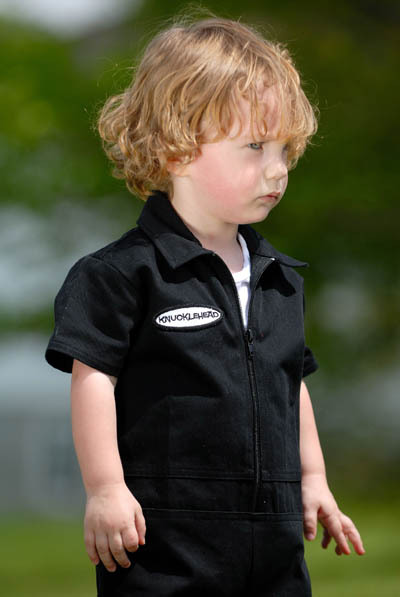 This is the signature Knuckleheads Grease Monkey coverall for kids who are into car maintenance or other activities with a high dirt/grit exposure. Excellent playgear. Also comes in brown. Sold out in black. Sorry.